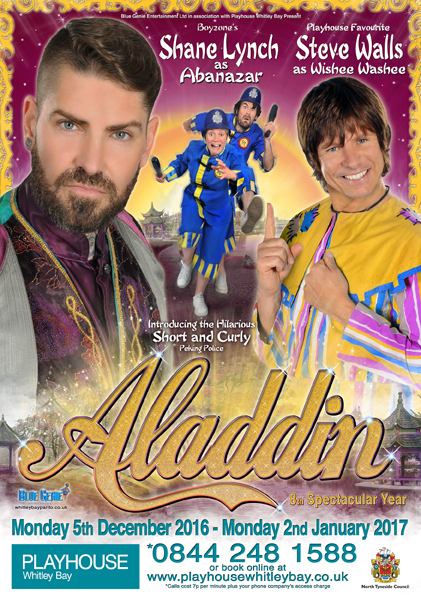 I went to see a pantomine last night. Oh no I didn’t…oh yes I did! It was the first one I’d seen in almost 40 years. 2016 – A good first year! Sitting here in December, I cannot quite believe what we’ve managed to organise and achieve since the first ‘proper’ meeting of The Next Page, when Elaine and I took a wander through Jesmond Dene, had tea with Sandy, then hit the town centre to investigate potential workshop venues, and other ideas to look into. Over a very productive panini and pot of tea in Mark Toney’s (other food-serving venues are available, but are they as lovely? ), we decided on the name, and what we wanted to achieve – a series of workshops, a reading event, and mentoring. Six months down the line, we’ve managed to get going with all three. We have now hosted two workshops, in July and December, and two Pure Fiction events, in July and November, as well as Elaine having hosted numerous one-to-one mentoring sessions. 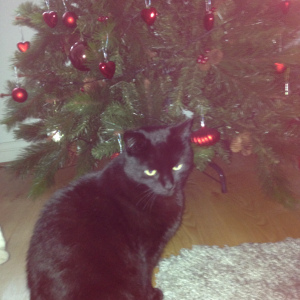 Billy prepares for a dementia friendly Christmas…. I published this last Christmas….but have added a few new pictures of Billy to bring it up to date for another outing this year…..
Wendy’s out Christmas shopping so I’ve commandeered the iPad to write my blog:)……..well if she leaves it switched on what does she expect! I knew the month of December had arrived when Stuart got this huge box down from the loft. Once emptied of all the huge branches and baubles, it makes an excellent den – never quite understand why humans insist on filling boxes when they’re so much more useful empty……. It’s important to feel safe when you’re out in public but not everyone feels confident and comfortable in crowds. My local council, North Tyneside has developed a Safe Place scheme to support vulnerable people to feel safe when they’re out and about in the borough. The scheme involves a growing network of local businesses, including banks, post offices and cafes, who have agreed to be a Safe Place, where anyone who feels unsafe of vulnerable can call in and ask for support. Safe Places are easy to identify as they display a nationally-recognised logo in their window. Anyone who is a member of the scheme can go into a participating building and ask for support. Someone would use a Safe Place if they felt lost, upset, afraid or threatened or if they lost their belongings or friends. 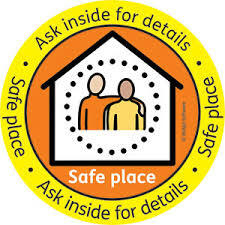 The Safe Place staff will then contact family, carers or the police if necessary. Happy Planet Studio and Gallery on Ilfracombe Gardens is a proud member of the scheme. 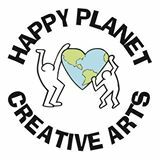 Happy Planet is a safe space for all where you can relax, feel comfortable, learn something and have a laugh. Why not see for yourself tomorrow on Small Business Saturday? Happy Planet will be open as usual from 9 am to 5 pm and there’ll be free tea and coffee on tap. And don’t forget, Happy Planet is a Safe Place tomorrow and every day.